Some consumers who saw Gillette’s new commercial encouraging men to reject the old let-boys-be-boys attitude are blasting the Procter & Gamble brand, vowing to find a new blade. Others congratulated Gillette for calling out “toxic masculinity” or wondered what everybody was getting so crazy about. But the new take on Gillette’s 30-year-old "The Best A Man Can Get” slogan is definitely a buzzy topic on social media. According to Talkwater, a social listening and analytics company that helps brands maximize their online impact, there were 1.5 million mentions of Gillette from Jan. 14 through Jan. 16 at 8:30 a.m. on blogs, news sites and social media. By comparison, from Jan. 7 to 9, when Gillette was mostly known for razors and a football stadium, there were just 10,000 mentions. 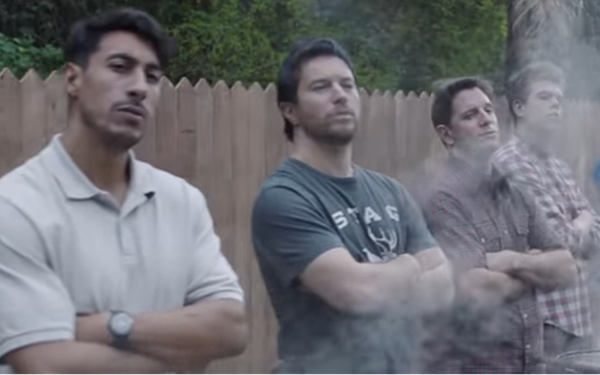 The Gillette-created hashtag #TheBestMenCanBe was used 187,400 times over the same time period. It was a big topic on NPR and talk shows. Rush Limbaugh said Gillette was using “militant feminism” to sell razors. There has been a lot of talk about the ad, along with a lot of talk about why there is so much talk about the ad. Forbes reports reaction on Facebook is 10 to 1 against Gillette. The ad has been seen 4.1 million times on Gillette’s Facebook page, and elicited 25,000 comments. Ian Wishingrad, founder and creative director of agency BigEyedWish, which specializes in targeting millllennials, says Gillette needs to put itself in a better light with younger users, many of whom are inclined to buy razors from online purveyors like Harry’s or Men’s Shave Club that have a hipper feel and are cheaper. According to the latest thinking, millennials will favor brands that stand for something, and will even pay a premium. So from that perspective Gillette was on target, Wishingrad says. Opinions from well-known commenters on Twitter ranged all over the place.